Depart Friday 9 am. Return to OC Sunday by 7 pm. We will build either a church or several houses, distribute food, paint, play games with local children, and worship at Comunidad Cristiana El Niño. This is a great weekend for all ages! Cost: $150 per person; $450 maximum per family; $110 for YoungLife/Student — includes all meals, lodging, and outreach items. Scholarships are available. This is a very popular trip and is limited to 80 people. If you need a ride to Mexico, we will try to find you a seat. Education is the key to breaking the cycle of poverty. As Christianity Today notes, every year of schooling means a better financial outlook for children, their families, and their communities. Your commitment can transform a child’s life forever. Without outside support, most El Niño children cannot continue past middle school. The El Niño Scholarship Program proudly includes 400 students, 90 of whom are currently attending university, trade school or seminary to become doctors, nurses, teachers, engineers, and pastors. 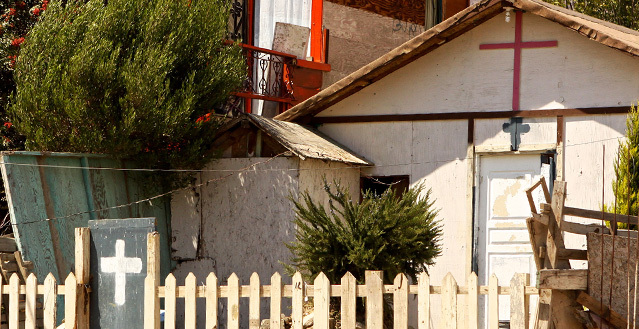 The rural colonia of El Niño is located between Tijuana and Tecate and got its name from the 1997 El Niño rains. Many people moved to this village of dirt streets and no running water after losing everything in Tijuana floods caused by El Niño storms. Unemployment and hunger are rampant in El Niño and surrounding colonias. Those unable to get the “best” jobs at factories earning $80–$100 per week are forced to be street vendors, collect cans and metal to sell for food, or find occasional work as day laborers. The drive from Irvine to El Niño is approximately 3 hours. IPC has been serving in El Niño since 2000. Iglesia Comunidad Cristiana El Niño and Pastor Daniel are beacons of hope in the colonia of El Niño and the surrounding area. Pastor Daniel has a vision of planting 50 churches; to date he has planted 17 churches reaching over 1,000 people in northern Baja California. Additionally, he oversees the TUMI Bible School at Iglesia Comunidad Cristiana El Niño, which recently had its first graduating class of 12 pastors. IPC partners with Pastor Daniel and Iglesia Comunidad Cristiana El Niño in many projects, including our school scholarship program, breakfast program, house building, English classes, dental clinics and various outreach projects. Education is the key to breaking the cycle of poverty. As Christianity Today notes, every year of schooling means a better financial outlook for children, their families, and their communities. Without outside support, most El Niño children cannot continue past middle school. The El Niño Scholarship Program proudly includes 100 students who are currently attending university, trade school or seminary who desire to become doctors, nurses, teachers, engineers, and pastors! Sign up at the Missions table or at elninochild@yahoo.com. You will receive a bio sheet, including a photo of your student so that you can pray for him / her throughout the year. Best of all, El Niño is only 3 hours from IPC, so you can meet your student on one of our trips! Your commitment can transform a child’s life forever! You may donate online or in person by visiting the Missions table after Sunday service. Please stop by the missions table on Sunday mornings or email Karen Francis. Meet your El Niño Sponsored Student and build deeper relationships with El Niño and IPC friends! Celebrating the upcoming school year with a great time of distributing backpacks, shoes, uniforms and school supplies to the sponsored children. Honoring the university students and graduates. Hosting a fiesta for the children and their families with fun games. Enjoying a delicious lunch prepared by the fabulous cooks from Iglesia Comunidad Cristiana El Niño. Serving together with our friends from Iglesia Comunidad Cristiana El Niño. According to Pastor Daniel Nuñez, 95% of the El Niño children go to school without having breakfast. IPC began a breakfast program at Iglesia Comunidad Cristiana El Niño in 2008. It started with 50 children and has since expanded to over 200 children, 5 days a week. Over 150,000 meals have been served to children who would otherwise be going to school hungry because of the financial struggles in their families. Some of the children walk a long distance from a squatter camp, with older brothers bringing in their younger siblings to make sure they have food for the day. One Saturday a month we travel to El Niño to teach conversational English to university students. Please join us in this great opportunity for developing relationships with and mentoring university students. Over Memorial Day weekend we serve together to deepen our relationship with the community of El Niño and each other through building homes, distributing food, activities with El Niño children, fellowship and worship at Iglesia Comunidad Cristiana El Niño. This is a great weekend for all ages! Bring your friends! 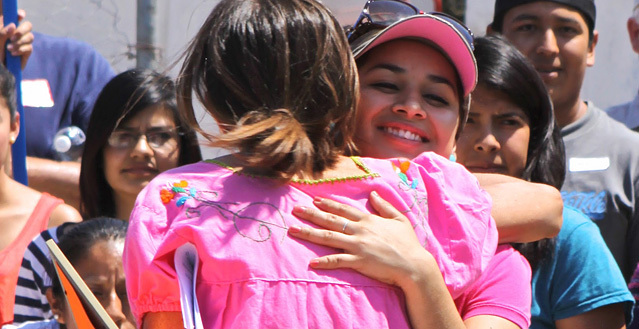 Tijuana Christian Mission, founded in 1964, has campuses in Tijuana and Rosarito and is IPC’s longest continual running mission partner. TCM provides a home for over 100 homeless children, age newborn to age 18. 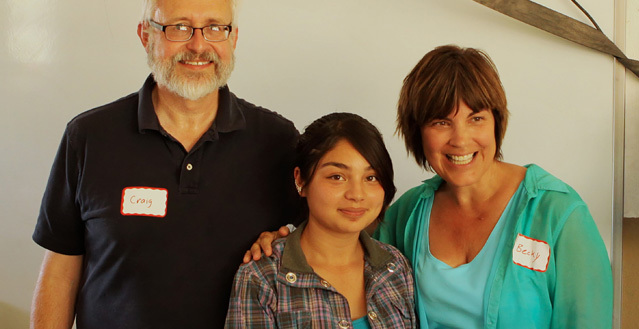 In addition to providing housing, the dedicated TCM staff, led by Sara, Seth and Martha Gomez, share the love of Jesus Christ with the abandoned, orphaned and lonely children of Tijuana. Staff members work together to meet not only the physical needs of the children, but their emotional and spiritual needs as well. In addition to hosting an annual Christmas party at TCM, there are opportunities to serve through trips to provide dental care, outreach, and facilities repairs and maintenance. The highlight of every Christmas at IPC is participating in the TCM Christmas party. Photos of children living at Tijuana Christian Mission are displayed on a Christmas tree, and we are given the opportunity to select a child for whom to buy a gift. We take the photo home to display on our own Christmas tree, as a reminder to pray for that child. On the first or second Saturday of December, IPC hosts a Christmas party at the orphanage in Tijuana. We present the children with their gifts, play games and have fellowship, and enjoy a delicious Mexican meal together. Join us this Memorial Day for a trip to El Niño, Mexico to build either a church or several houses, distribute food, paint, play games with local children, and worship at Comunidad Cristiana El Niño. It is a great weekend for all ages! For more information, email curtis@irvinepres.org.